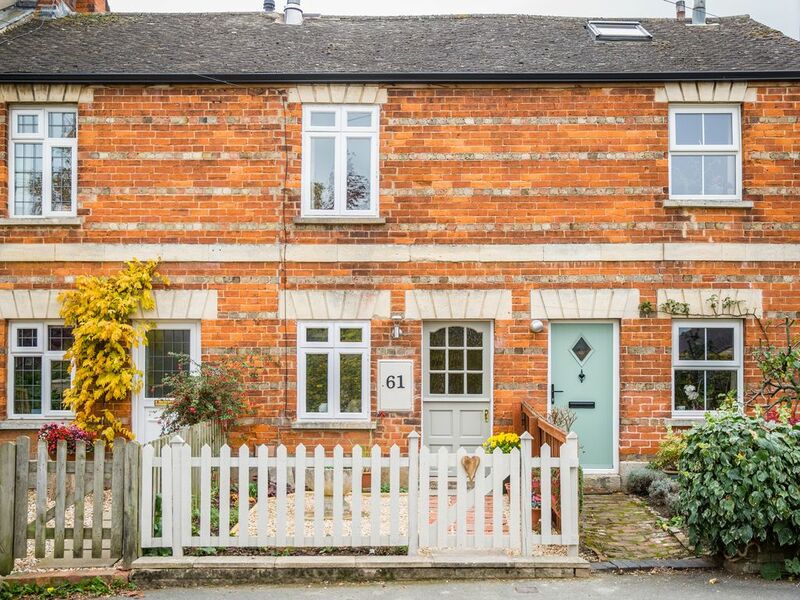 No61 sleeps 3, plus an infant, and is situated on a quaint residential road in the unspoilt Cotswold town of Winchcombe. The cottage has private parking (a real bonus in Winchcombe), two comfy bedrooms and a newly fitted bathroom on the ground floor. The cosy lounge has a wood burning stove. The bijoux interiors are beautifully decorated in an eclectic style with up-cycled furniture and a quirky edge. The landscaped, flower filled garden has a sun trap decking area with table, chairs and barbecue for the summer. The cottage was newly renovated in 2016 and has a functional kitchen with pull out breakfast bar. There is no formal dining table but as No61 is walking distance (5 minutes) from a selection of restaurants, pubs, bars and coffee shops there are plenty of places to eat out nearby. In 2016 I took a break from a stressful career and bought my first cottage that needed totally renovating to create and stylish holiday home. It took eight months of hard work before I opened No61 and began hosting lovely guests from all over the world. The success of No61 led me to expand my business further, and in 2017 I purchased The Cottage which needed extensive updating and extending to create a stunning property in Gretton. I have been 'hands on' throughout these renovations fitting kitchens, bathrooms and even taking a training course to become a fully qualified EPDM roofer! My true passion however, lies in the interior design and styling of the properties and I enjoy hosting guests travelling to the beautiful North Cotswold area. You will get a high level of personal service at my cottage. I run and manage the property myself and I have very high standards that I maintain at all times. Many of my guests mention the attention to detail in my cottage. The house was comprehensively renovated in 2016 and has been finished to an excellent standard. The cottage is a Victorian workers cottage and is in the middle of a row of terraced cottages, there are neighbours on both sides. There is no formal dining room but there are lots of fabulous restaurants just a 5 minute walk from the cottage. I find my guests spend much of their time out and about exploring the beautiful area that is just on the doorstep, and enjoying the local restaurants and bars. Winchcombe is an unspoilt Cotswold town, stay here in No61 and live like locals have for hundreds of years. The cottage has a private off road car parking space and everything in Winchcombe can be accessed on foot from the front door. If you wanted to, you could park your car and walk everywhere. There are plenty of pubs, restaurants, cafes and shops all nearby. The bathroom has a bath with a shower over. Fully fitted kitchen with oven and hob, microwave, dishwasher and washing machine. There is a breakfast bar in the kitchen that folds out to provide a kitchen table. This has 4 stools. It is a functional space but not suitable for banquets! No 61 is a beautiful property with all the home comforts in a cosy little package. The personal touches added by the owner make any stay at No 61 that little bit more special. The location is wonderful for exploring Winchcombe and the rest of the Cotswolds. I can't recommend this property enough. Excellent. Beautiful cottage and garden. Very welcoming host.